One month after the ATP Finals, the Statoil Masters Tennis exhibition tournament is the perfect opportunity to see the great players of yesteryear back in action. 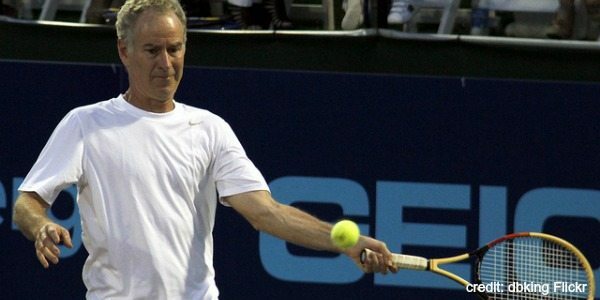 Played at the Royal Albert Hall London, this rather more light-hearted event is an opportunity to see high quality tennis and is highly entertaining with crowd-pleaser Bahrami known for his audacious trick shots and the (slightly) mellower John McEnroe as competitive as ever! Pat Rafter – The Australian former world no 1. won 2 U.S Open titles and often wowed the Wimbledon crowds with some breath-taking diving volleys at the net. Greg Rusedski – The former U.S Open finalist once held the world record for the fastest serve at a whopping 149 miles per hour. He is now a coach with Britain’s junior teams. 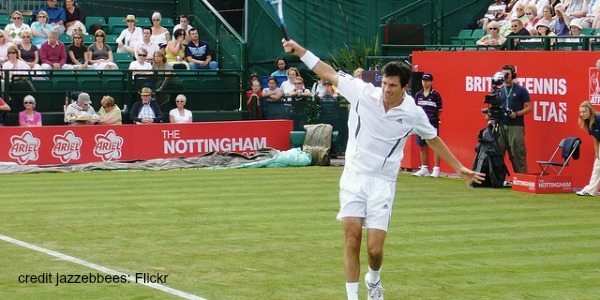 Tim Henman – A gentlemen of the game, ‘Tiger Tim’ carried the weight of British expectation for years but was never quite able to reach a grand slam final. Goran Ivanisevic – One of the tennis world’s great characters, the extrovert Croat captured the public imagination as he completed a career Grand Slam in 2001 with an epic Wimbledon final victory against Pat Rafter. Mark Philippousis – The big serving Australian reached two grand slam finals – The U.S Open in 1998 and Wimbledon in 2003. Fabrice Santoro – Born in Tahiti, the charismatic Frenchman never reached a Grand Slam final but enjoyed an unusually long playing career, finally retiring in 2010. Playing double handed both sides, he was known for a spectacular shot making facility. Seven-time Grand Slam Champion Mats Wilander, former World No. 1s John McEnroe and Stefan Edberg, tennis legends Henri Leconte and Sergi Bruguera and former British No. 1 Jeremy Bates compete in a six-man Legends event.